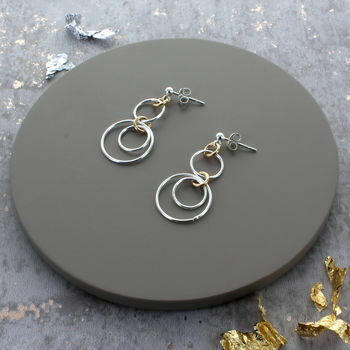 A unique pair of sterling silver and gold filed drop stud infinity linking earrings. 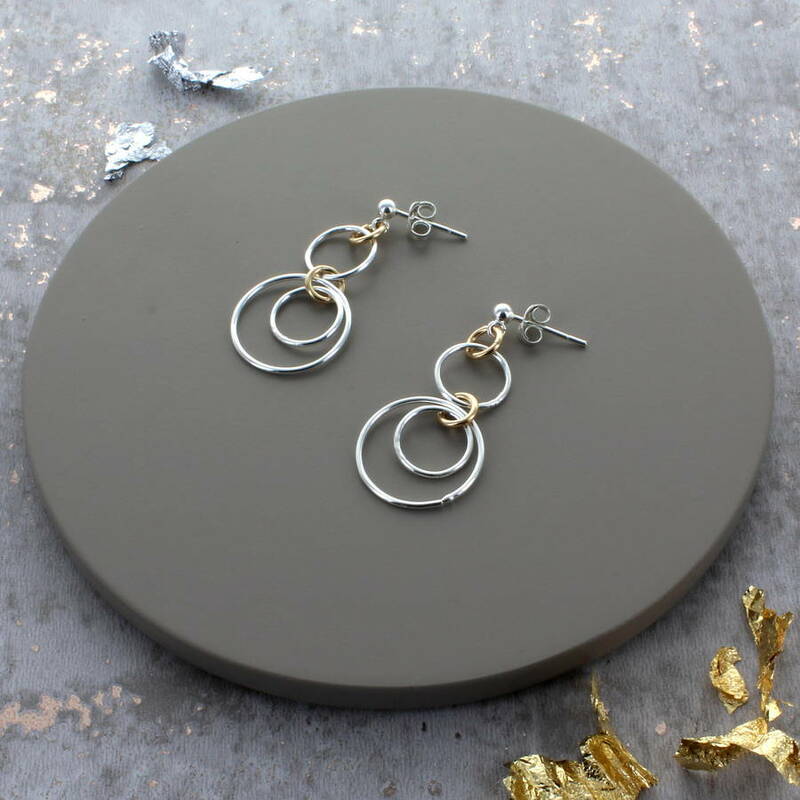 New this season, the beautiful handmade gold and silver multiple hoop earrings would make a great gift for any friend or loved one of any age. 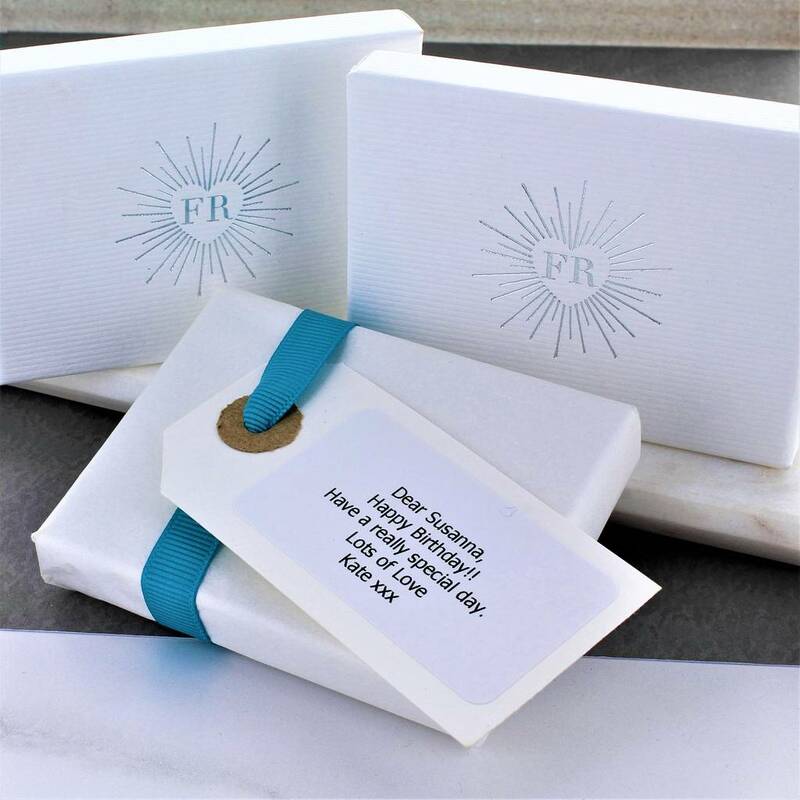 The hoops are delicate and easy to wear making the perfect accessory for any occasion.